"Clara has been a standout since day 1. 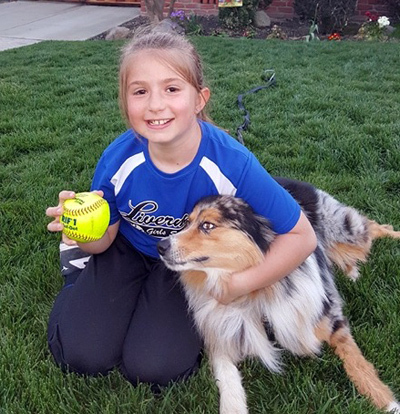 She has become one of our "go to" pitchers who can consistently throw strikes, taking coach pitches away from her opponents. She has been working very hard with coach Steve on perfecting her swing and she is getting it dialed in. 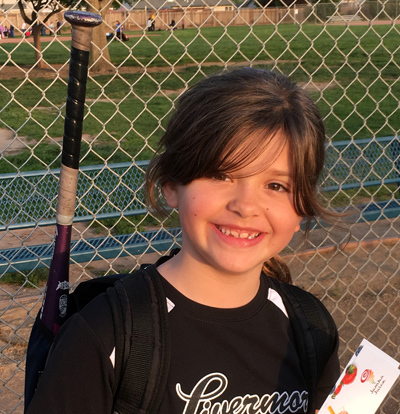 This week she had 2 doubles, one resulting in 2 RBIs. Don't let that demure attitude or angelic smile fool you. She is a force to be reckoned with on the diamond. She takes everything in and applies it to her game. 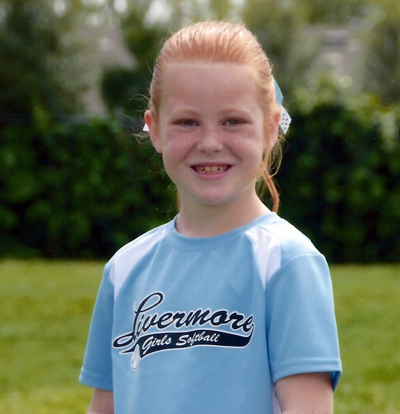 She is an quite an amazing little girl, teammate and player!" "Dylan has been a pleasure to coach this year. Everyone know it's not always easy to be the coach's kid but, she has handled it like a champ. At yesterday's game she went 3 for 3 at bat with an RBI. She has been a key defensive player for us, consistent all year in the field. Chasing balls and runners often resulting in outs. She has a strong, accurate throw and does a great job at third base. She is really enjoying softball this year and I'm proud to be her coach and watch her skills improve every day. Thanks for making me proud!" 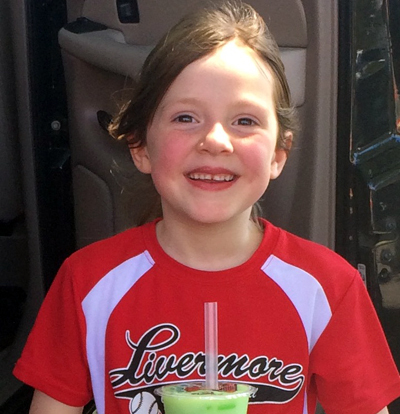 "Allie had an amazing game at the plate, hitting the team's first home run of the season! 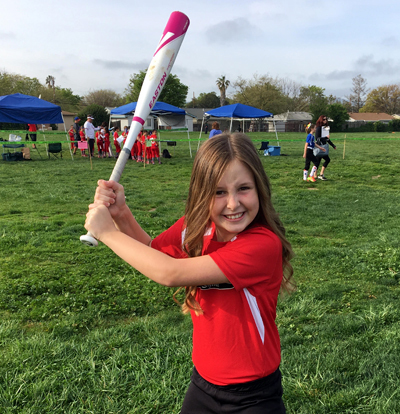 She started the game off with a triple, then hit a home run her next at bat, with the ball going all the way to the other field! While she was fielding, she had a solid game at first base, nearly getting a few outs. At right field, she was flying around backing up first base and helping the team. In addition to her performance, Allie was cheering on her teammates all game and always has a great attitude. Keep up the great work Allison!" "Delaney had a great week of softball this week. She pitched 4 innings in 2 games and had 11 strike outs. 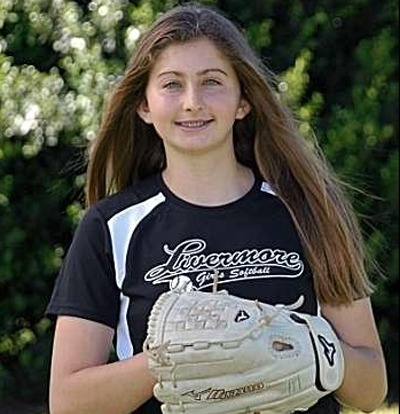 She has progressed immensely as a pitcher and a force to be reckoned with at the plate. In her first game she hit off of the opposing pitcher in all three at bats. She recorded 2 stand up doubles and 1 single in the first game. On Saturday she hit a mammoth shot for a double and an RBI single. Delaney is a strong softball player but an even better teammate! She is a great young lady with an electric personality. Keep up the good work Delaney!!!" "Maliah has played fantastic all season but this last week was exceptional! She completed 2 double plays in the same game! 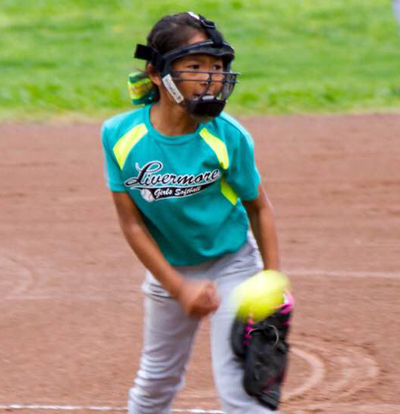 Maliah also pitched 5 innings total for the week, only giving up 2 runs and had 6 strike outs. At the plate she went 4 for 6, driving in 4 runs. 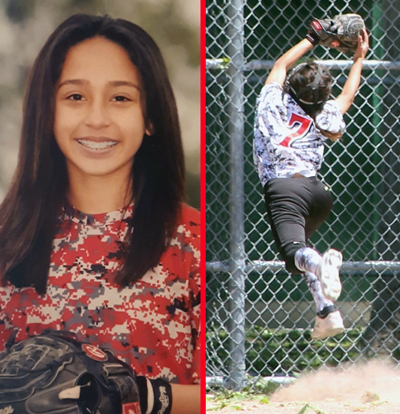 Maliah has a passion for the game and is always willing to help her teammates. Way to go and keep up the great work!" 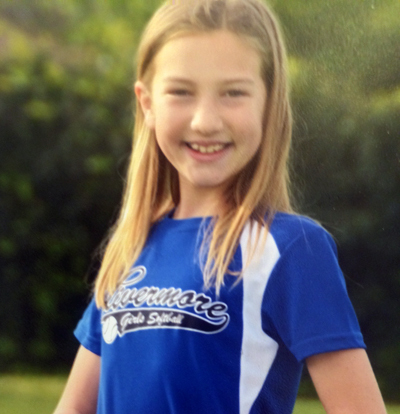 "Sydney finished her last regular season game by pitching a 3-inning shutout. This girl hustles on the field, puts all her effort into her plays & always listens to her coaches. She's also a leader on the team, leading cheers and getting her teammates ready. 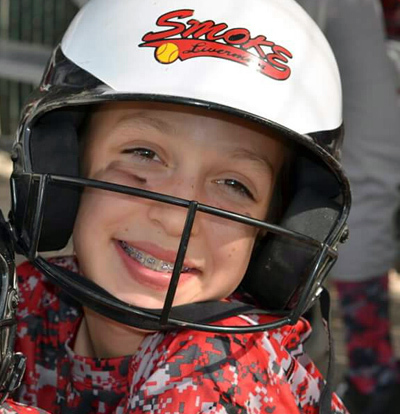 Sydney loves the game and is a rockstar softball player! Way to go Sydney!" "Lauren has excelled at pitching this season. 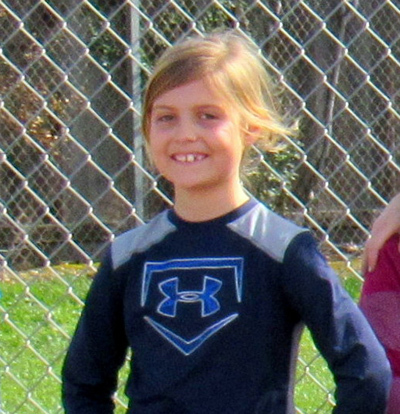 This week she struck out 5 batters in 3 innings. Lauren also had a big hit at the plate this week. She has a great attitude and practices hard. Lauren deserves player of the week for a great season and making great progress." "Rachel had a heck of a week. She went 4 for 4 from the plate, had 3 RBIs, 1 walk, and 3 runs scored. This has been Rachel's comeback year as she took last year off to try some different things. She has obviously not skipped a beat. Rachel always has a smile on her face, but don't mistake that smile for weakness. She is one of many team leaders. Before each at bat she discusses her hitting strategy with Coach Boyd which further shows her understanding of the game. Congrats Rachel on a great week and season." "I would like to nominate the Wildcats for players of the week. These girls played a fantastic season and worked extremely hard. They showed with hard work they can accomplish anything. They started the season off slow, but finished in the Championship game on top with some exciting softball. I am very proud of this team and what they were able to accomplish together. Keep working hard ladies." 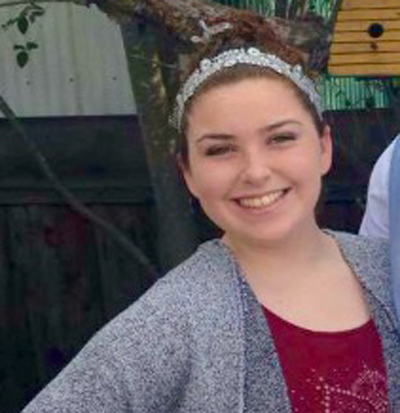 "Mackenzie Ward, she always shows up with a smile on her face and eager to learn. She went 4 for 4 off the pitcher for 2 consecutive games. She has been working hard on her drills and it paid off on Saturday while playing short stop she stop the ball and made a great throw to 1st. She is a delight to have on the team and always so polite." "I can't say enough about Zoey. She has been a huge asset to this team and our success! The last 10 games this kid has made at least one play that has resulted in an out.... sometimes 2 and this past game 3! She is the best 2nd basemen on our team. She charges every ball and beats out the runner every single time. She is consistent at bat. Throughout the season Zoey has hit 4 doubles and countless base hits and RBI's. The best part about this kid is her attitude. Always smiling, listening, and playing her best. She makes coaching a pleasure, and she's fun to watch because she has talent. Keep it up Zoey! I will always be proud and happy to coach you." 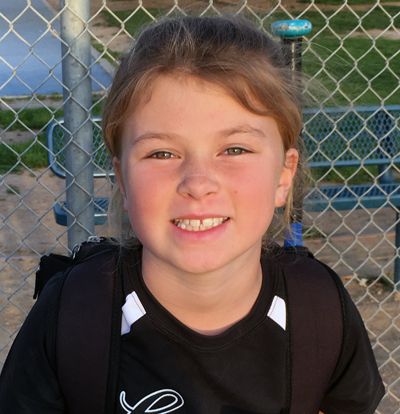 "Avery had a great game against the Pink Panthers with some outstanding plays at 3rd base and a couple really solid base hits. Avery always comes out to play and gives 100%. She is a great team cheerleader too! Keep it up Avery!" 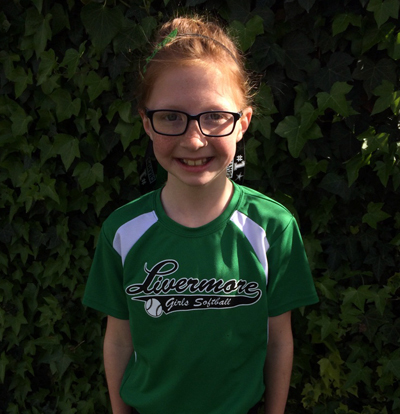 "Hannah went 1 for 3 Monday night in a tough win for the Green Machine. Her team also had a few players out due to illness, so Hannah worked hard behind the plate catching for 4 innings. Last week she was also asked to be a pool player for the Fireballs which she was so excited to do. Hannah went 1 for 2 with a single for the Fireballs. She loves softball and wants nothing more then to be on the field at practice or at games. Kudos to Hannah on a job well done and for being a great team player! "She may be small, but she's a huge threat! Keana Castro, perhaps the best all-around 3rd baseman in the league today, recorded two singles, a double, 2 RBIs, and too many stolen bases to count (including a delay steal of home plate!) last weekend. She is a vacuum at 3rd base; willing to dive, get dirty and sacrifice her body to stop the ball. With a stellar arm, even the quickest of runners rarely stand a chance. Congratulations to a hardworking player on and off the field!" "Paisley made a great break through this week. 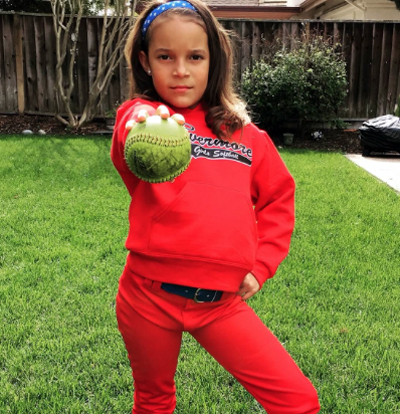 When playing third base, she met with success when she scooped up balls twice and was able to beat the runner to third base for an out each time. More than that, this was the moment where she really found success and enjoyment in the game. From that point on, she had the biggest smile on her face and when running from base to base, she started to run like the wind! A little bit of success and she is enjoying softball so much!" "Bridget is a first year player who is picking up the game quickly and getting better every week. This week Bridget had a great game batting with two solid hits, one being a double. She was a solid first base player and was inches away from making a few outs in center field. 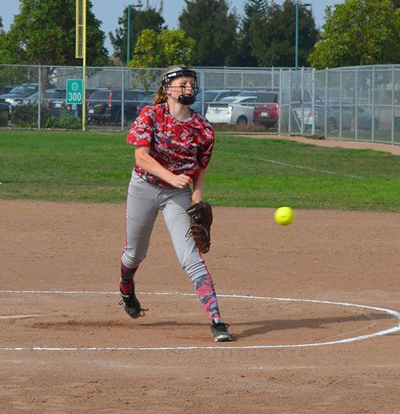 Bridget is doing a great job learning to pitch this year and it shows when she is on the mound. Keep up the good work Bridget!" 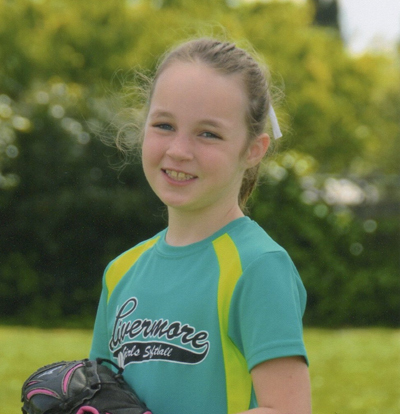 "Brianna (Cheetah) Harvey took to the mound last week and allowed 2 runs in 2 innings and struck out one batter. She also went 4/5 at the plate with 3 runs and 2 RBIs. 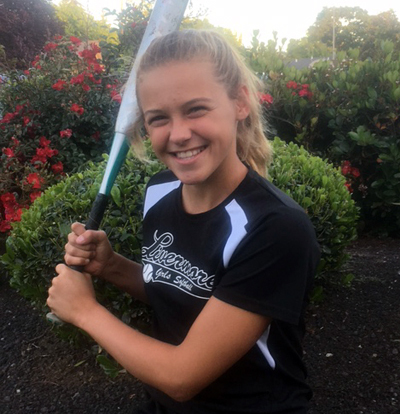 Always focused when she's on the diamond, Brianna is also a leader in the dugout with her attention to the game, thunderous cheering, and model behavior (which the dugout moms appreciate)." "Last week Victoria played 3 games in 5 days. She pitched a total of 7 innings and only allowed 2 runs. Her role as a lead off hitter has been consistent and on base when her team needed her. She plays the game with a heart and dedication, putting in a lot of time to improve her game. Her upbeat attitude is key when the team needs the momentum to battle." "Corynne is a caring and helpful teammate! She works hard at every practice and is a great leader. Last week, vs. the Purple Reign, she struck out 12 batters for the win! Keep up the hard work Corynne!" "Being a daughter of the manager is never an easy job, especially when that manager is tougher on you than the rest of the team. Maggie is one of the few 10 year olds in the division and no matter how much pressure she is under, she always has a smile on her face. 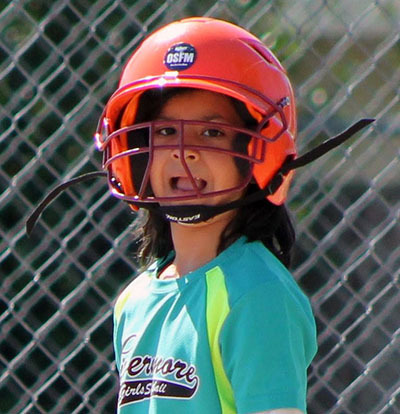 Last week she went 4 for 5 from the plate, scored 3 runs, 1 RBI and had 1 walk. She also pitched 2 scoreless innings and played some stellar defense at first and catcher. 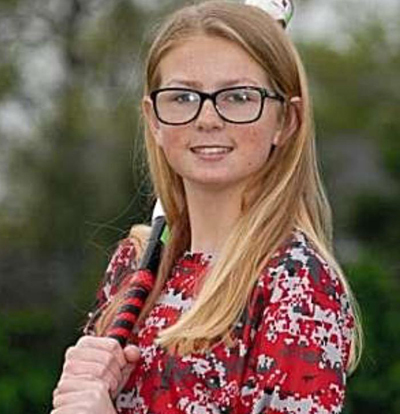 Most know her as a swimmer, but she is making her mark on the softball field as well." 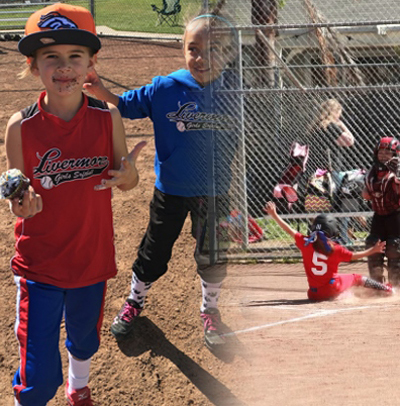 "Brooklynn made great defensive plays at shortstop, catcher, and even tagged a runner out at 2nd after fielding a ground ball in right field. She also hit the ball solidly each at bat. Keep up the good work Brooklyn!" "Makena is a great softball player. She started off the game last Wednesday with a double and an RBI. She has a great attitude and is happy to play any position. Last game she took a line drive to her arm at short stop. She stayed with the ball and prevented the batter from getting a double. Keep up the good work and attitude kid!! "Gracie 'Flash' Montoya is the Dion Sanders of the LGSA. No matter where you put her, she uses her cat-like reflexes and lightning speed to get the job done. 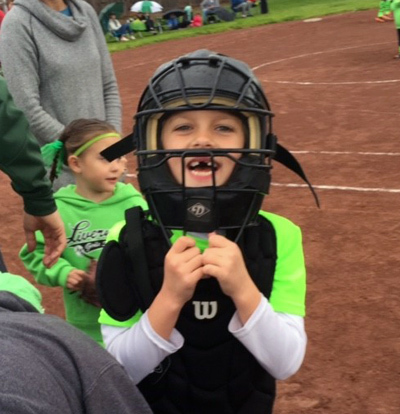 A regular at third, we played Gracie at catcher last week where she proceeded to collect two assists and a fabulous putout from a line drive foul-tip. We’re still not sure how she caught it? The next game we moved Gracie to pitcher, her first action in 8U, where she consistently found the strike zone and collected one strikeout and a scoreless inning. She also managed two more putouts and an assist this week while playing P, 3B, and 1B. Flash has a quick bat too and went 3 for 6 with a run scored. Gracie is a joy to have and this 3-time Patriette always has the team on its feet waiting to see what she does next." "Alecsis was on a hitting rampage this past week. In a tough game against the Rebels on Saturday, Alecsis was on fire in the field and at the plate. With her team down by 3 runs in the last inning, Alecis hit a GRAND SLAM WALK OFF HOME RUN! Way to go Alecsis! What an accomplishment!" "Rhiannon came back from spring break on fire. On Wednesday she went 2 for 2, a double and a HR. 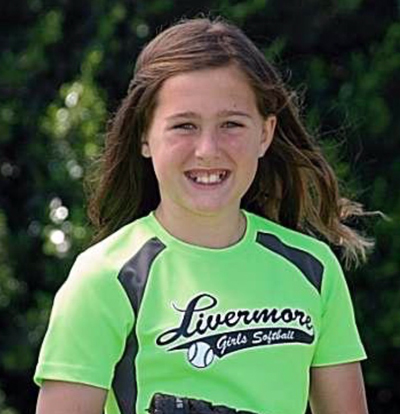 Because of her hustle, she tagged out 3 girls stealing home on a passed balls while pitching. On Saturday she went 3 for 3, a walk, single, double and a 2 run HR. Rhiannon has taken on a pitching role this season which shows her versatility and commitment to the team. Rhiannon is always playing hard and definitely leaves everything out on the field. Great job Rhiannon!" 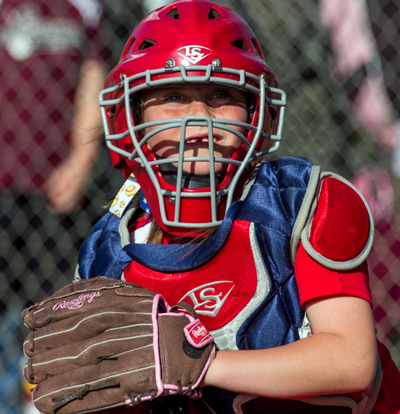 "She has been doing really good catching. She has been throwing girls out leading off to far and trying to steal. She threw a player out trying to steal second for the game winning out. She also hit a homerun and a double in our last game, and caught a pop up behind the plate. Go girl!" "After a long 3-game day in Castro Valley, Kendall went 7 for 8 at the plate, driving in 9 RBI's. 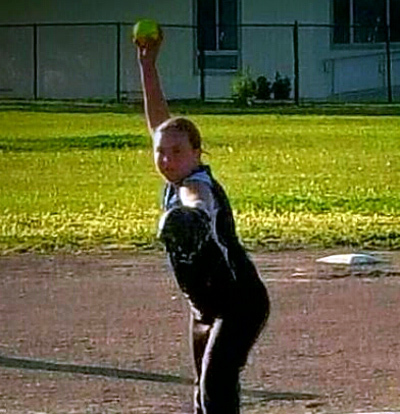 Over the same 3 games, she pitched 8.1 innings, giving up only 3 earned runs, walked 1 and struck out 7! Kendall was on fire and I am happy to have her as a part of our team." "Mia comes to every practice and game full of energy. She throws her entire body into every swing and is involved in several defensive outs every game. In fact, during our game on March 31 she began 3 force outs while playing pitcher one inning, then completed 3 force outs while playing first base the very next inning. 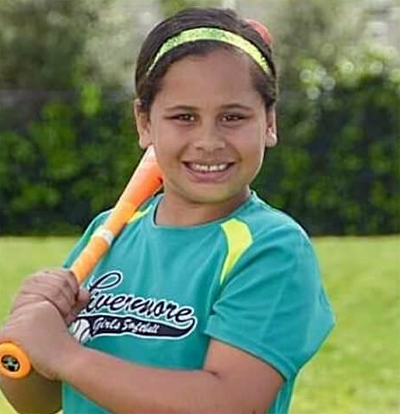 Mia is a pleasure to have on the team and has a bright, bright future in softball." "Makena Wilhoit is the player of the week for the Blue Diamonds. Makena has great team spirit and always has a positive attitude. She pays attention during practices and games while cheering on her team mates. She shows up ready to play and is always willing to play any position. While playing first base she made two great outs in one inning. She loves learning to pitch this year and it shows during the games. Keep up the great work Makena!" "Sofia has been strong throughout the first half of the season, but last week she really turned it on. 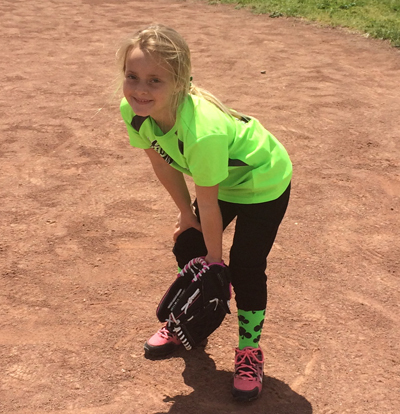 A regular at shortstop, she had the 6 spot on lockdown with three assists and a putout in two games. A putout and one of the assists came with the bases loaded as she caught a line drive and ended the inning with a 6-3 assist, keeping it a scoreless inning. In the second game, Sofia had another 6-3 assist after tracking down a hard hit ball to her right and came up with the rare 6-2 assist by nailing the runner at home. Sofia topped off the week by pitching a scoreless inning with one strikeout while facing only four batters. She also went 3/5 at the plate with two RBIs and a run scored. 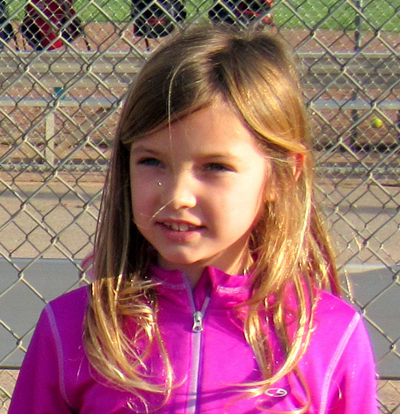 Sofia really loves the game and her enthusiasm makes the coach proud." "Danielle played two games this week and collected three hits with three RBI's. She also pitched two innings and had six strikeouts. Not only that, Danielle made two stellar plays on defense. Way to go Danielle!" 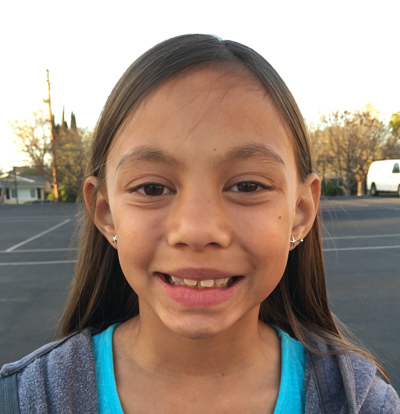 "Annabella works hard at practice and plays well in the games. This past week she did a phenomenal job as catcher and played great at shortstop as well. 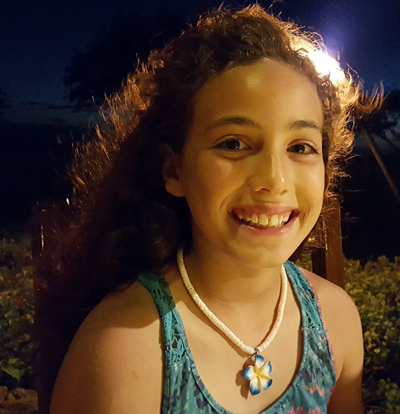 At bat, Anabella is confident and skilled. She has a great attitude and keeps her teammates motivated. I know I can always count on her at any position as well. 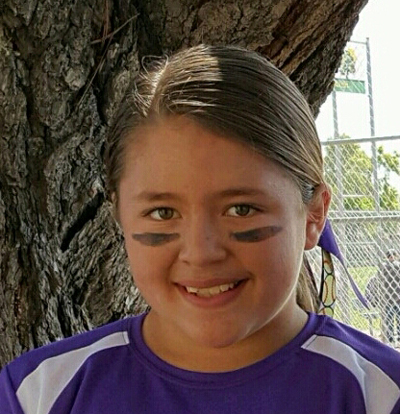 Annabella deserves to be player of the week for her hard work and dedication to her team." 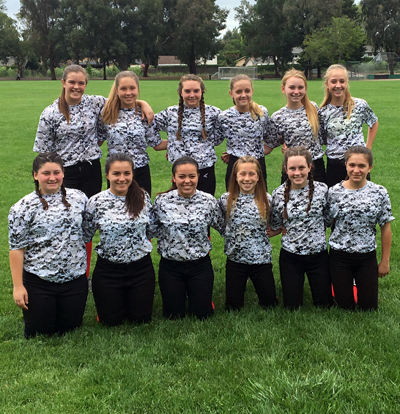 "Carlie pitched all six innings in a very tough win against Blue Lightning. She only gave up 5 runs, struck out 11, and walked none. Though she struggled a little at the plate, she did have a late inning RBI that helped cap the win. Carlie does a fabulous job of not allowing a tough day at the plate to affect her in the circle. She is loved and looked up to by all of her teammates and coach Boyd says he is very lucky to have her on the team." 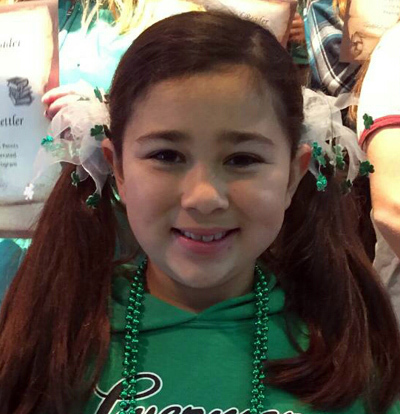 "Laurel is a wonderful and enthusiastic member of the Shamrocks! She always pays attention and brings her best effort no matter what she is doing. She is also so supportive of the other players, and sets a really good example. At the game last week, she had two tremendous hits, and she also played first base for two innings. 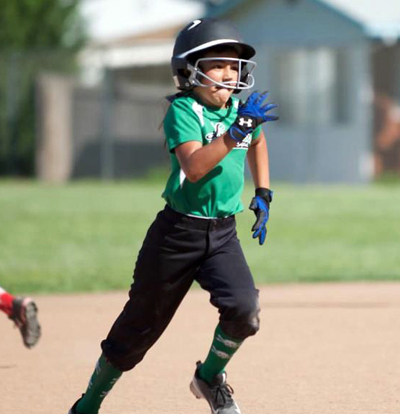 While on first base, she scored three outs, by paying attention, scooping up an infield ball, and hustling back to the base. It was a standout performance from a great player." 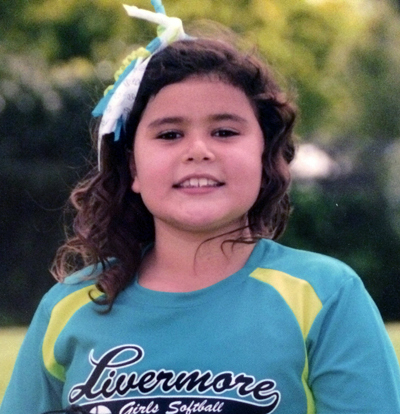 "Sofie is a great softball player. You can tell she loves the sport. She is consistent at bat, always getting on base. She has had several RBI's since the season started. She has a great attitude, and is willing to play whatever position. She pitched last week and showed good effort. While playing 1st base she has had 3 great plays all resulting in an out. Keep it up Sofie!! You are a great role model for our team. Thank you!" 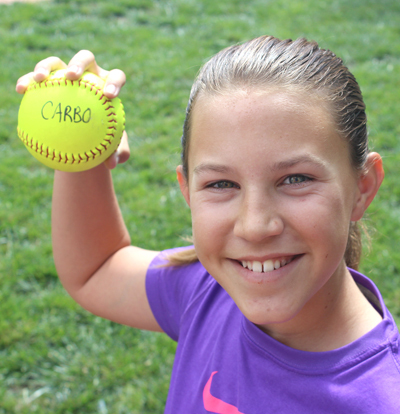 "Carly is a great example of a player that truly loves the game. Her passion for learning the game and succeeding in it is amazing. Carly had a great game last Friday. She pitched 2 fantastic innings, striking out multiple girls, and letting minimal coach pitch. She also went 3 for 3 with a 2 run double! Carly works very hard at the game and it shows. She is a great player to have on the team and I'm so excited to watch her in the future." "Gabi started the week on Tuesday night against the Fireballs with a rough first inning. She was pulled for another pitcher but never gave up. She made up for the rough first inning with her bat going 2 for 2 with an RBI. Gabi came in again in the final inning to strikeout the side and secure the win. She showed the heart of a champion. On Saturday she pitched 2 scoreless innings against the Bombers and again went 2 for 2 but with 3 RBI's! Gabi is a true gamer and is a pleasure to coach." "Victoria Pelas has been an All-Star since day one. 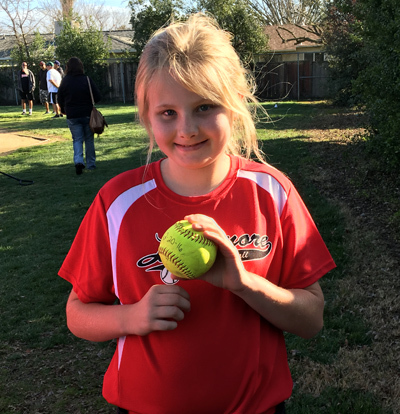 Last week she had 11 strikeouts in five innings of pitching with no runs scored, as well as a double play to end an inning. She always has a great attitude and loves playing softball. Her mental toughness and hustle is always appreciated by the coaches and her teammates. 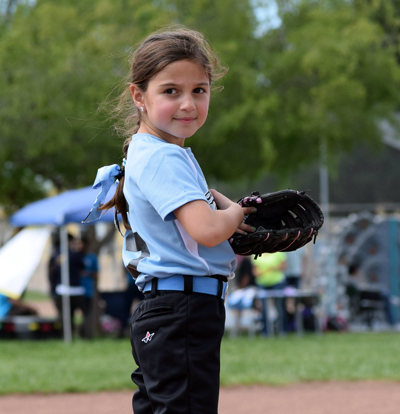 She is always displaying good sportsmanship on the mound and in the dugout. We are excited to see what she does the rest of the season. Great job Victoria!!" 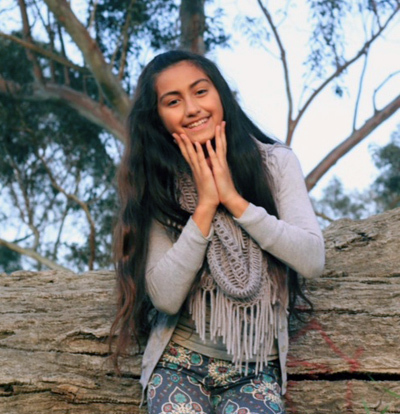 "Nayeli had at great week leading the Blue Lightning in 2 wins. She pitched 7 innings, allowing 3 earned runs and recording 10 strikeouts to go along with several great defensive plays. At the plate, Nayeli reached base 6 of her 7 plate appearances with 2 singles, a triple and a home run and 2 walks. That's a great week! " "Melissa "Missile" MacDonell is currently one of the most dominant pitchers in the league. She hurled 4 innings against the Wildcats, striking out 3 batters and only giving up 3 runs. Proving to be just as dangerous at the plate, she went 3 for 3 with a singleÃƒƒƒƒƒƒƒƒƒƒ¢€‹, two stand up triples, and 3 RBIs. 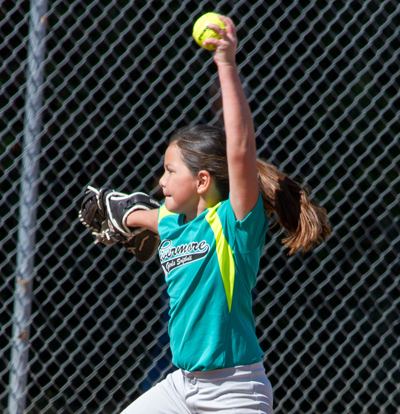 She has been nicknamed "Missile" because she can throw some HEAT! Great job Missile!" "In the game last Saturday, Shelby played 2nd base and showed great heart and great hustle. She picked up a grounder and out-sprinted the runner to 2nd base for an out. She also fielded 3 more balls for outs at second. There was also a play where she fielded the ball, knew the play was going to be at home, and made a great throw to the catcher, the runner was safe, but she had a great understanding of the game and made the right throw at the right time to the right player. She always shows up with a great softball attitude and works hard to get better every time!!" 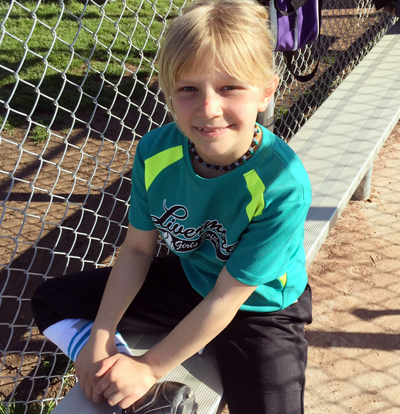 "This is Kaci's first ever experience playing organized softball. She has spent her time in previous years as a competitive swimmer. From our very first practice she was a stand out. Before I even knew all the girls names I had to refer to her as "that little girl in the navy blue Under Armour jersey". She is extremely enthusiastic, attentive, and really takes in the information you provide, immediately putting it to use. Whether it's turning a play from short to 1st, or a 4 min lesson on bunting right before she steps into the batters box for her summer ball tryouts. 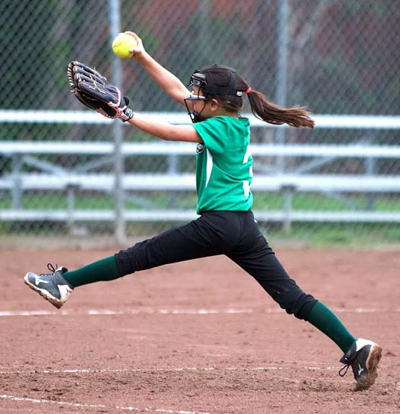 She has a strong interest in pitching and can consistently throw strikes. Last weekend Kaci made the decision to forgo swimming in the summer and has decided she wants to play softball instead. 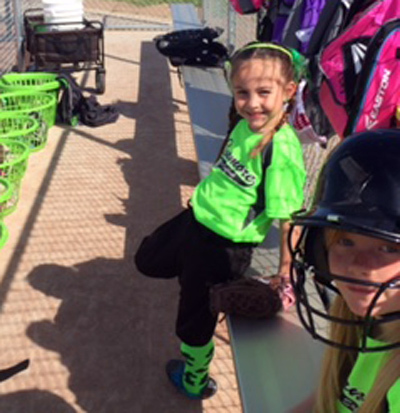 Kaci tried out for the 8U travel ball team last Saturday. I'm certain she will be an asset and a great draft pick for a lucky coach this summer." "We had 3 games this week and Lauren was solid in every one of them. 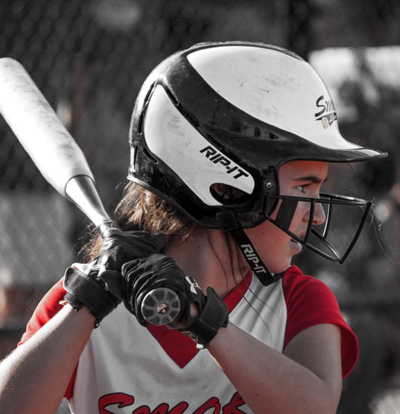 She's our only lefty and worries about batting because she sometimes hits it right to the first baseman and gets out. In our Saturday game she hit a beautiful fly ball right into center field for a base hit. Just seeing her proud smile and watching her confidence grow from that hit was amazing." "Not only did McKenzie get two hits & two RBI’s versus the Bat Girls, she made a great play at third base to get an out. 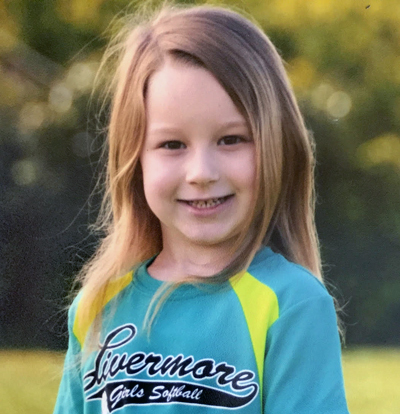 Plus, she got an unassisted triple play at first base by catching a fly ball, touching her base, and then running to second base to get the final out. She also pitched one inning with two strike outs. Versus the Green Machine, McKenzie pitched a shutout inning with three strikeouts and had an RBI hit!!!" "With all the rain outs on practices and games, you could see the impact it had on the team this last week. The girls were just not in it and didn't play well. EXCEPT LAUREN! We were losing, badly, and yet Lauren went up to bat and pitch with determination and drive to win. Others had given up and stopped paying attention, but Lauren kept on striving for the win and actually got the Sky High Hitters 5 runs in one inning thanks to her awesome skills! You could tell that rain or shine Lauren continued to practice and keep her skills sharp!" "Olivia had a great week! Not only did she play some excellent defense, she went 2 for 3 with a homerun, 3 runs and 2 RBI's! Although Olivia is quiet, she leads by example, and that is a great trait in a leader! Keep up the hard work Olivia!" 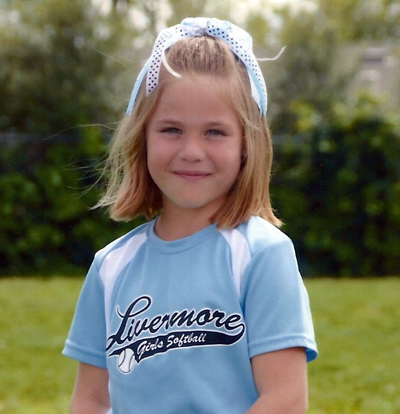 "Sadie had flawless defense behind the plate and at short stop. She was integral in scoring runs to win both games on Saturday. 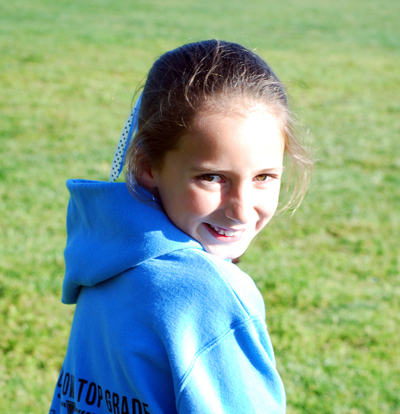 Sadie always has a great attitude and sportsmanship!"